Backpacking Philippines: Malabon Horse Meat, Tapang Kabayo of Parañaque: Healthy, Exotic Delicacy? Malabon Horse Meat, Tapang Kabayo of Parañaque: Healthy, Exotic Delicacy? With the now hot topic of horsemeat scandal in Europe where some products labeled as beef were found laden with horsemeat while some are actually mislabeled completely as beef. Horse meat eating is taboo in the United States and the United Kingdom but not in the Philippines, it's not illegal, where it's eaten regularly in some areas, and considered exotic food if not an aprhodisiac (the usual tag that's actually unfounded) for most delicacies). Horsemeat is also eaten in some parts of France and regularly sold in the Netherlands, Mexico, Argentina, Sardinia and in Asia, the top consumers are China, Japan and Mongolia. Now if you're not the type who won't mind tasting horsemeat and actually have the guts to try and taste how horsemeat tastes like, there are two areas where you can buy horse meat: Malabon and Parañaque. It's not a secret that Malabon horse meat selling is a norm. You can find them at various Malabon Public Markets sold at meat shops labeled as Malabon Tapang Kabayo. 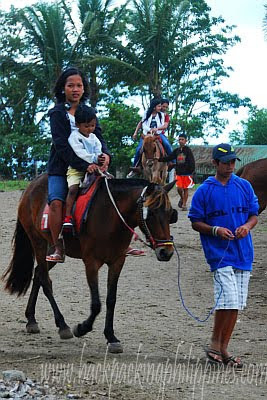 The horse meat source are said to come from horse breeders in Quezon and Batangas as well as disabled horses in race tracks. There's a lingering rumor, and believed to be true, that one of the best tapsilog in Metro Manila, particularly on the tapsilogan strip on Quirino Avenue in Don Galo, Parañaque City is not serving beef tapa but actually tapang kabayo (cured horsemeat) to customers for decades now that gives it a unique taste, flavor and texture different from tapang baka (cured beef). There's a blog dedicated to eating horse meat and promotes it as low fat, low in cholesterol and high in iron. Horsemeat is also claimed as the secret to long life of the people of Sardinia and some people of Malabon who consume it regularly. What's your take on this? Is it ok to eat horse meat? The issue in Europe is actually of deception where consumers were deceived into eating horse meat. Filipino culture does not prohibit eating horse meat, what's actually illegal is eating carabao meat, due to Erap's only law. Want some kind of horse meat food trip? San po sa malabon nakakabili ng horse meat? First off, if horsemeat is your thing then go for it. But I would question the quality of the meat sold here in Manila. Do we really have breeders who actually raise horses expressly for meat? Kasi kung mga racetrack galing yan, well, enjoy your mutant horse meat from all the drugs they stuff into race horses.